application if You want to create Your own unique Choral Voices, Vocal Pad and much more...And Don't limit Yourself to Voices only, try it on solo instruments like guitars, violins etc. !Note! The Ensemble settings are applied globally to ALL three layers together. Setting Panorama Position " "
Setting Low Pass (LP2) frequency " "
@aymat thanks for your contribution! This add was already done some pages ago. For the next adds you could use the "search" thread function to confirm no repetitions. Thanks again! Instructions: Download and install over the previous version. No uninstall needed. Reveal is a revolutionary plugin developed by Audeze which applies carefully designed filter presets specific to our headphone models. This provides the listener with an experience similar to what you would hear from high quality studio reference monitors in an acoustically treated room (but without the pesky room reflections and reverb*). The presets are not meant to fix any issues, but rather to enhance the listener’s experience. We expect some users will prefer our headphones without any DSP presets, while others will prefer the “room sound” calibration provided by these Reveal plugin presets. The choice is yours! For professional applications, Reveal can allow mixing and/or mastering in virtually any location while ensuring your work will translate well to most any system. For pleasure listening, Reveal gives another “flavor” to be chosen by the listener and adds value to your Audeze headphones. 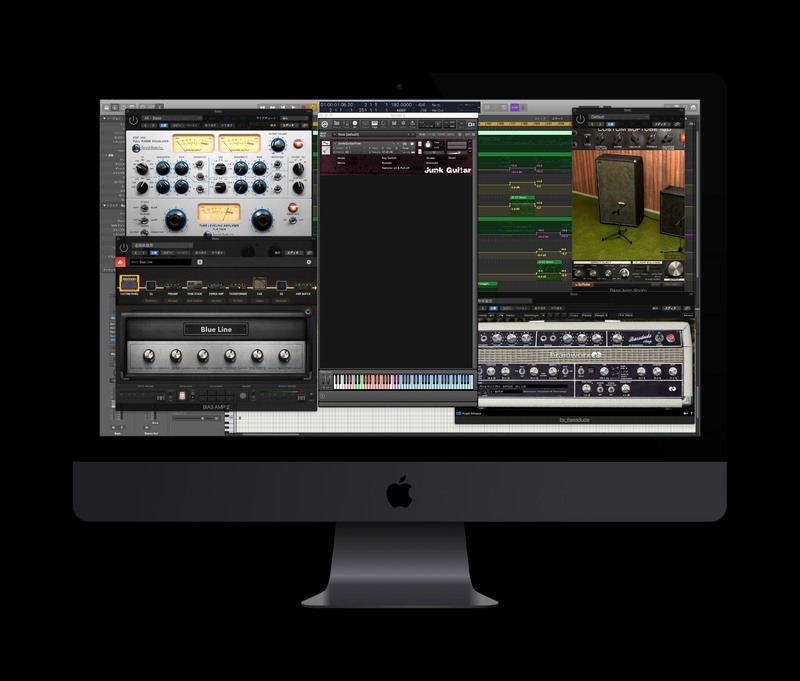 The Reveal plugin is available at no cost for macOS (10.10 and above) and Windows (7 and above) and is compatible with most Digital Audio Workstations (DAWs) or playback software that supports AU, VST or AAX plugins. 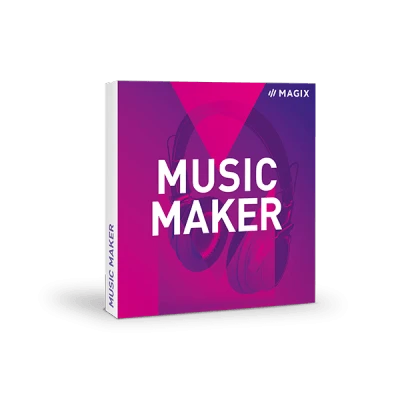 Compatible DAWs include ProTools, Logic, Ableton Live, Digital Performer, REAPER and others. Compatible audio playback software includes JRiver, Audirvana Plus, Pure Music, VOX, Foobar2000 and others. The filters used by the Reveal plugin were designed for all commonly used sample-rates (44.1 kHz - 768 kHz), so no resampling happens no matter what sample-rate you use. Thanks in part to its highly intuitive user interface, Reveal is extremely easy to use. 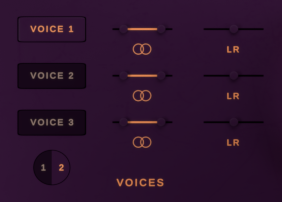 Simply download and install the plugin package here, load it into your DAW or music player software, select the model of Audeze headphone you’re using from the dropdown menu on the left, then make any adjustments to the Mix and Gain knobs to suit your taste and material. * Reveal Plugin does not apply any spatialization, reflections or crossfeed. It is designed to to be transparent and as unobtrusive as possible. To install Reveal, download the Reveal Plugin zip file. Once the download is complete, double click on the downloaded file to unzip and run the installer. The installer should prompt you to select which components you want to install, and the directory in which you would like to install them. Be sure you install the versions you need for your system and put them in the location recommended by the provider of your preferred software (usually the system plugins folder). To give you an idea of the quality of our sounds before you purchase, we created a free 3.6 GB sampler of our 96 kHz / 24 bit ambiences and sound effects collections. All sounds are picked from our existing collections and can be used royalty free in commercial projects, based on our single-user license terms. FREE SAMPLER - 3.6 GB of sounds from our collections! By entering your email you agree to receive the Shapingwaves newsletter. There’s some awesome LV2 plugins out there for Macs, like the X42 plugins. Not everyone uses an LV2 host on macOS, but many people do use VST hosts. Even though mac-compatible LV2s, especially with GUIs, are rare, it’s likely that increased user interest will generate increased developer support. If you end up using an LV2 and enjoy it, please contact the developer and let them know that you appreciate their work! So here’s a short tutorial on how to use lv2vst to wrap your LV2 plugins to VST! First will be a run-down for moderately experienced users/developers. Then I’m going to assume that you are on 10.11+ and have a bare-bones installation and know basically nothing. This is written in my typical style rather than in a documentation format. This is not documentation. This is a how-to. If you have any questions, please post them in the comments. 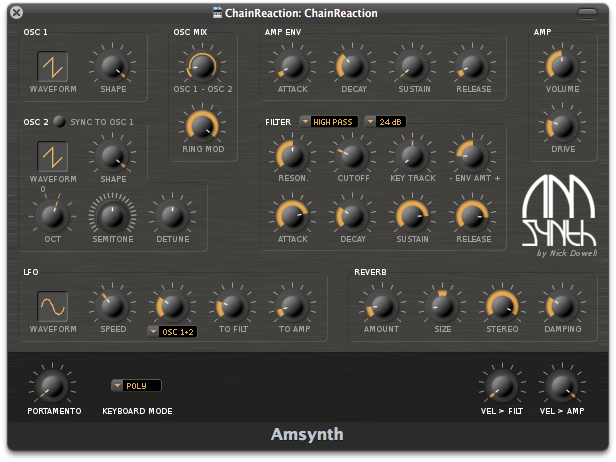 amsynth is an easy-to-use software synth with a classic subtractive synthesizer topology. We are very happy to finally announce the next release of our drum sampler Sitala. Most notably we added support for MIDI mapping and multi-out. Mappings can be either done using a 'Learn' mode, using General MIDI maps defined in Kits or using predefined 'Chromatic' (aka sequential notes) and 'White Keys' mapping for simple input on a keyboard. In the standalone program parameters can be mapped to midi controllers. In a DAW you would naturally use parameter mappings to achieve the same. Multi-out support can be enabled through the hamburger menu and will send each sample to it's own bus. So sixteen discrete busses in total. We hope you enjoy the improvements and are as always keen on receiving feedback! Little Ringer is a minimal ring modulator, based on Julian Parker's diode model and anti-aliasing. The carrier is a sine wave, with an additional LFO to modulate its frequency. 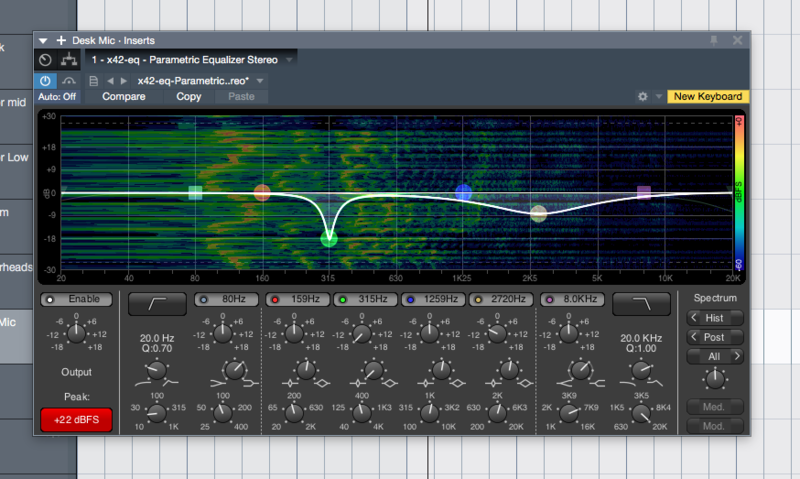 The smoothness parameter allows a range of sounds, from hard-edged to clean inharmonicity. PA2 is a free plug-in. 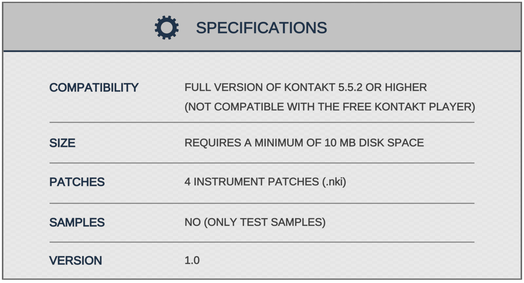 See the downloads page for the latest version and system requirements. Halls Of Fame 3 by Best Service combines the authentic sound of vintage reverbs with modern editing possibilities. 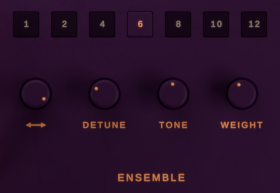 Whether you are looking for spring, plate or algorithmic reverbs, Hall Of Fame 3 got you covered. Junk Guitar Free contains a monophonic mode for riffs and guitar solos, a polyphonic mode with a general mechanism, and a chord mode containing four types of chords. 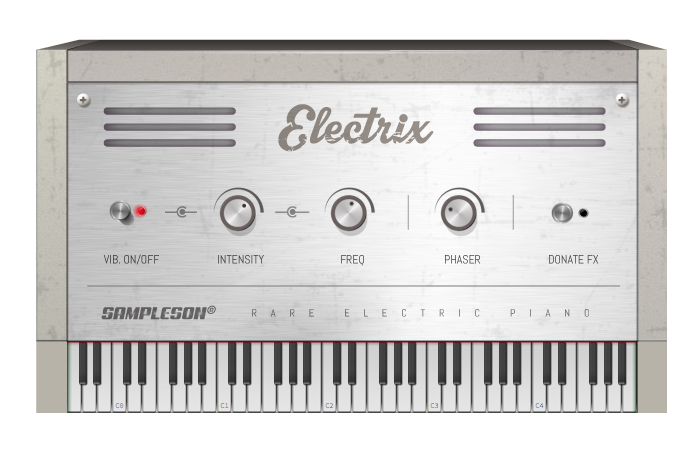 In monophonic mode, once you press a key, it continues to sound the sample until the next note or stop noise. This is close to the actual guitar playing style, it is suitable for guitar solos and riffs. Polyphonic mode is the most standard mode. 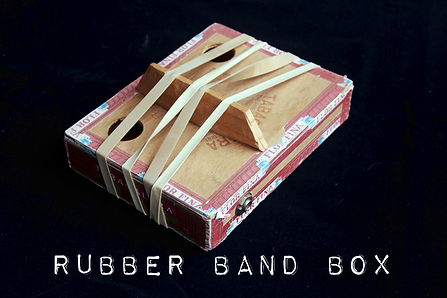 The Rubber Band Box is another one of a kind instrument created by MODWHEEL’S Steve Roche. 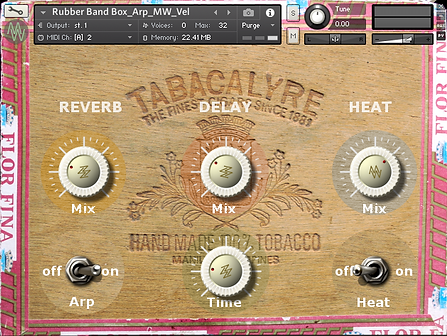 Created using a cigar box, 4 rubber bands, a bridge and pick up, the rubber band box has proven itself to be a versatile live instrument and now an even more versatile chromatic virtual instrument for use in Kontakt. 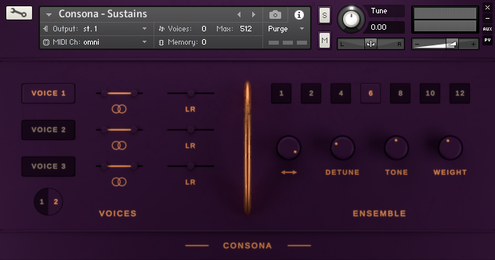 The Rubber Band Box is made up of 5 Kontakt patches that range from a bass, tabla and timpani sounding instruments to synth sounding pads and leads. The patches all feature delay, reverb and distortion controls. It's FREE now for a very limited time!!!! THE FINE PRINT...In downloading The Rubber Band Box you are agreeing to be added to our newsletter mailing list where we will keep you posted on our upcoming releases and other offers. We acknowledge your right to privacy so your details will be safe with us and you can expect no more than about one or two emails per month from us. Where it all begins. 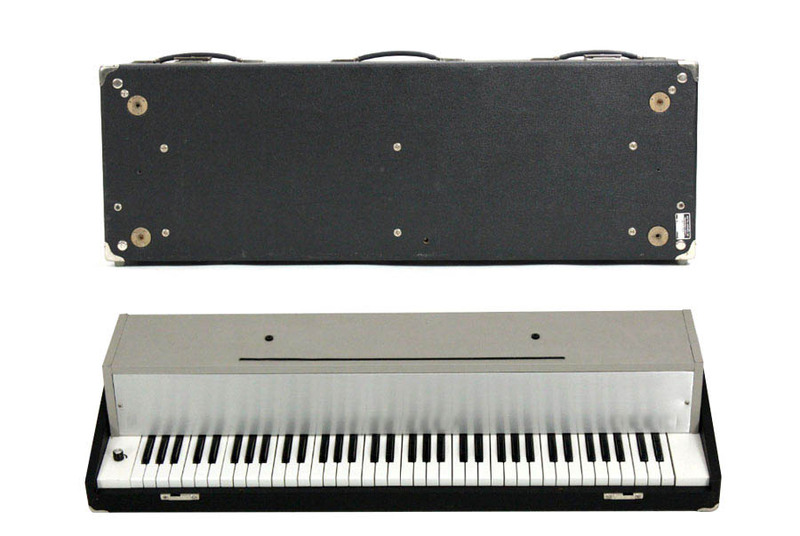 Hohner created The Electra Piano T in the early 70's and was followed by other electric piano manufacturers. It uses forks strucked by hammers and electronically converts vibrations transmitted to a transistorised amplifier. Electrix is the result of more than 1200 hours of develop and testing. Native 64bit and perfectly balanced to fit into any professional mix. Available for Mac and PC, VSTi, AU and Standalone versions are included. 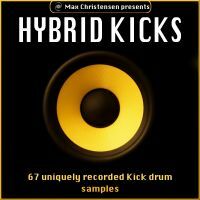 67 uniquely recorded Kick Drums. All recorded and processed without any actual kick drums. An EQ that tries to simulate the rich phat sound of analog equalizers. So far it's a beta version, so the UI is a bit confusing and not very pretty. The plug-in has been tested at 44100 and 96000 Hz samplerate, but should work at other rates as well. Versions 49 and 50 are identical. The meters on the right side show how much you're effectively boosting. The amount of harmonic distortion / saturation is a product of both boost and drive. It's easier to tell the difference betweewn the different modes and the "dark" mode if the meters reach about 20-30% or more. If you have trouble making the meters reach levels as loud as this screenshot, try sending a louder signal into the plugin. v50: Changed the way the version number is displayed. v49: First beta that seems to work. Okay, so basically I've been a bit disappointed with how thin digital equalizers tend to sound compared to analog ones, especially when boosting. So came up with this "drive" level which works in combination with the usual "boost" amount. The result is that you can drive the boosted frequencies more or less to get various degrees of soft harmonic distortion affecting the frequency boosts themselves more than just saturating the entire signal as so often seen in many other plugins. The algorithm is sort of unusual, and it doesn't make sense when cutting, so the four bands of this EQ only offers boosting. A few tips: Give it a good strong input signal approaching 0 dB. If your signal is very weak (e.g. -25 dB) you won't really be able to tell the difference between the modes. "Transistor" and "Tubes I" usually work better in the treble, whereas "Tubes I" and "Tubes II" tend to be more interesting on lower frequencies (but this isn't always the case). It's still beta, so the UI is not very pretty.